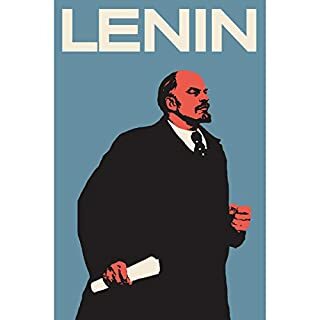 Drawing on new research, including the diaries, memoirs, and personal letters of both Lenin and his friends, Victor Sebestyen's unique biography - the first in English in nearly two decades - is not only a political examination of one of the most important historical figures of the 20th century but a portrait of Lenin the man. Unexpectedly, Lenin was someone who loved nature, hunting, and fishing and could identify hundreds of species of plants, a despotic ruler whose closest ties and friendships were with women. 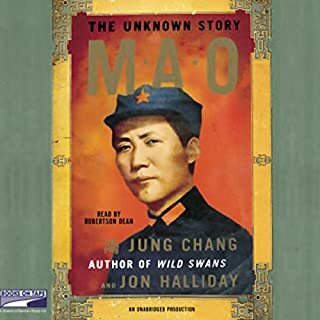 Based on a decade of research and on interviews with many of Mao's close circle in China who have never talked before, and with virtually everyone outside China who had significant dealings with him, this is the most authoritative biography of Mao ever written. Fills many gaps! Very good..but! 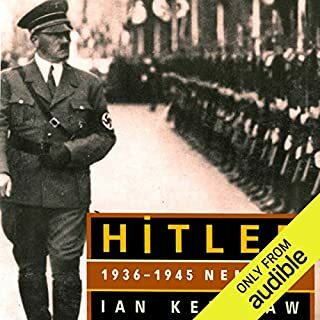 Hailed as the most compelling biography of the German dictator yet written, Ian Kershaw's Hitler brings us closer than ever before to the heart of its subject's immense darkness. Ian Kershaw's Hitler brings us closer than ever before to the character of the bizarre misfit in his thirty-year ascent from a Viennese shelter for the indigent to uncontested rule over the German nation that had tried and rejected democracy in the crippling aftermath of World War I. 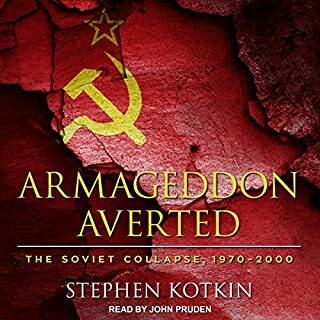 Combining historical and geopolitical analysis with an absorbing narrative, Kotkin draws upon extensive research, including memoirs by dozens of insiders and senior figures, to illuminate the factors that led to the demise of Communism and the USSR. The new edition puts the collapse in the context of the global economic and political changes from the 1970s to the present day. Kotkin creates a compelling profile of post-Soviet Russia. On the 100th anniversary of the Russian Revolution, the epic story of an enormous apartment building where Communist true believers lived before their destruction. The House of Government is unlike any other book about the Russian Revolution and the Soviet experiment. This essential biography, by the author most deeply familiar with the vast archives of the Soviet era, offers an unprecedented, fine-grained portrait of Stalin, the man and dictator. Without mythologizing Stalin as either benevolent or an evil genius, Khlevniuk resolves numerous controversies about specific events in the dictator's life while assembling many hundreds of previously unknown letters, memos, reports, and diaries into a comprehensive, compelling narrative of a life that altered the course of world history. The Gulag - a vast array of Soviet concentration camps that held millions of political and criminal prisoners - was a system of repression and punishment that terrorized the entire society, embodying the worst tendencies of Soviet communism. In this magisterial and acclaimed history, Anne Applebaum offers the first fully documented portrait of the Gulag, from its origins in the Russian Revolution, through its expansion under Stalin, to its collapse in the era of glasnost. There is no story in 20th-century history more important to understand than Hitler’s rise to power and the collapse of civilization in Nazi Germany. 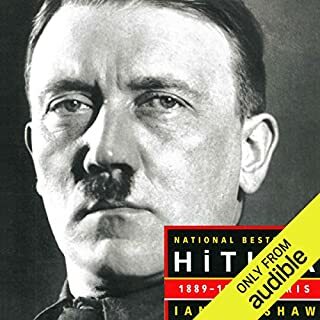 With The Coming of the Third Reich, Richard Evans, one of the world’s most distinguished historians, has written the definitive account for our time. When Mikhail Gorbachev became the leader of the Soviet Union in 1985, the USSR was one of the world's two superpowers. By 1989, his liberal policies of perestroika and glasnost had permanently transformed Soviet Communism and had made enemies of radicals on the right and left. By 1990 he, more than anyone else, had ended the Cold War, and in 1991, after barely escaping from a coup attempt, he unintentionally presided over the collapse of the Soviet Union he had tried to save. This volume opens with Mohandas Gandhi's arrival in Bombay in January 1915 and takes us through his epic struggles over the next three decades. In reconstructing Gandhi's life and work, author Ramachandra Guha has drawn on 60 different archival collections. Using this wealth of material, Guha creates a portrait of Gandhi and of those closest to him that illuminates the complexity inside his thinking, his motives, his actions, and their outcomes as he engaged with every important aspect of social and public life in the India of his time. Vietnam became the Western world’s most divisive modern conflict, precipitating a battlefield humiliation for France in 1954, then a vastly greater one for the US in 1975. Max Hastings has spent the past three years interviewing scores of participants on both sides, as well as researching a multitude of American and Vietnamese documents and memoirs, to create an epic narrative of an epic struggle. Here are the vivid realities of strife amid jungle and paddies that killed two million people. A magnificent new biography that revolutionizes our understanding of Stalin and his world. It has the quality of myth: A poor cobbler's son, a seminarian from an oppressed outer province of the Russian Empire, reinvents himself as a revolutionary and finds a leadership role within a small group of marginal zealots. When the old world is unexpectedly brought down in a total war, the band seizes control of the country, and the new regime it founds as the vanguard of a new world order is ruthlessly dominated from within by the former seminarian until he stands as the absolute ruler of a vast and terrible state apparatus, with dominion over Eurasia. We think we know the story well. Remarkably, Stephen Kotkin's epic new biography shows us how much we still have to learn. Volume One of Stalin begins and ends in January 1928 as Stalin boards a train bound for Siberia, about to embark upon the greatest gamble of his political life. He is now the ruler of the largest country in the world, but a poor and backward one, far behind the great capitalist countries in industrial and military power, encircled on all sides. In Siberia, Stalin conceives of the largest program of social reengineering ever attempted: the root-and-branch uprooting and collectivization of agriculture and industry across the entire Soviet Union. To stand up to the capitalists he will force into being an industrialized, militarized, collectivized great power is an act of will. Millions will die, and many more will suffer, but Stalin will push through to the end against all resistance and doubts. Where did such power come from? The product of a decade of scrupulous and intrepid research, Stalin contains a host of astonishing revelations. Kotkin gives an intimate first-ever view of the Bolshevik regime’s inner geography, bringing to the fore materials from Soviet military intelligence and the secret police. I am an avid student of history, especially relating to the First World War and the period of time preceding the war and subsequent to it. I also an avid student of the Russian Revolution, Russian Civil War and period following it. This book was extremely well written and it probably one of the finest biographies I have read about Stalin. That being said, there are two issues that one should consider before purchasing this book. First- as has been pointed out by other reviewers, the narration is not as good as it could and should be. While I did not mind the narrator's pace and tone, it bothered me greatly and detracted from my enjoyment of the book that he could not correctly pronounce the Russian names of the historical figures in the book. It seems logical to me that if you are going to narrate a book with non-English character names, you need to do a good job with the pronunciations. That was not the case with this narration. Secondly- the book does a phenomenal job of sketching the time frame in Russian history which Stalin was a part of and the book went into great details about Lenin, Trotsky, Stolypin, Tsar Nicholas II, Kerensky as well as the other Russian historical figures of the period. While this was great for me in that it added greatly to my understanding of Stalin, for the first time reader of a Stalin biography, this can detract from his/her enjoyment of the book because not enough time is spent on Stalin's life. Therefore, if you have never read or listened to a biography of Stalin, I would not listen to this book as the first book on the subject. 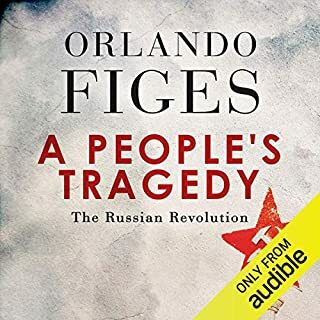 Instead consider first listening to the Stalin biographies written by Simon Sebag Montfiore (only covers Young Stalin), Robert Conqeust and/or Edward Radzinsky (all three books are available from Audible) and then consider listening to this one. I believe that by following this course of action, the listener will enjoy this book more and learn more about Stalin from it. If you could sum up Stalin, Volume I in three words, what would they be? I cannot recommend Stalin, Vol 1 highly enough. This book often feels more like a history of revolutionary Russia than an account of Stalins life, which is great if you are more interested in public policy vs. an individuals biographic info. The book really heats up when discussing the in-fighting between Stalin and a few of his comrades, such as Trotsky and Kamenev. Ultimately, Vol. 1 is about the fascinating way in which Stalin slowly accrued power over the course of the 20's. My only regret is that Vol. 2 isn't available yet. This is probably a very great book. However, it is hard to tell from the audiobook, because the narration is just terrible. The speaker reads very, very slowly. I have been a monthly subscriber to Audible for 10 years, and for the first time, I increased the speed to 1.25. Then I increased it again to 1.5. At this speed, it is about normal. In addition, there are many, many sentences where the speaker has failed to place the emphasis correctly in the sentence, making it very difficult to follow the structure. This tends to happen quite often when the speaker encounters a new and complicated Russian last name, which of course happens frequently. Stephen Kotkin offers a remarkable and comprehensive view of the 1917 Russian Revolution in “Stalin, Volume I”. In historical context, Kotkin profiles the three most important characters of the revolution; e.g. Vladimir Lenin, Joseph Stalin, and Leon Trotsky. “Stalin, Volume I” documents the personalities and circumstances of the pre-U.S.S.R.’ economy; i.e. an economy based on the disparity between wealth and poverty, federalization and centralization, political idealism and pragmatism. Though Stalin wields great enforcement powers, Kotkin infers Trotsky is the intellectual successor to Lenin. Stalin and Trotsky are shown to be at odds on the fundamental direction of the Bolshevik party, the successor party of Russian communism. However, the exigency of getting things done, as opposed to understanding Leninist/Marxist communism, were paramount for consolidating power. Kotkin explains how Stalin became a defender of Leninist doctrine while Trotsky became an antagonist and eventual apostate. Trotsky’s arrogance and Stalin’s manipulation of events doomed Trotsky’s rise to power. There is much more in Kotkin’s powerful first volume exploration of Stalin and the Russian revolution. Germany’s role in the revolution is a case in point. The writing is crisp and informative. The narration is excellent. After listening to “…Volume I”, one looks forward to Kotkin’s next. 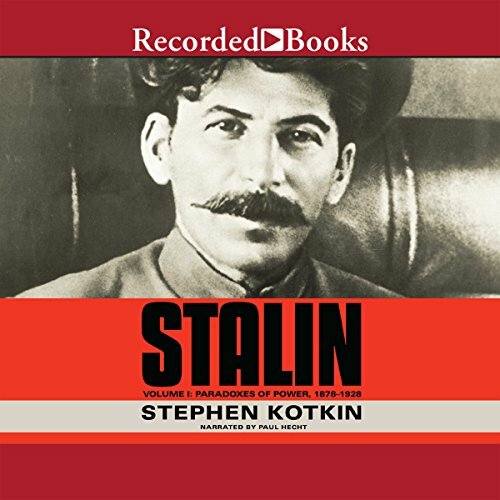 Would you consider the audio edition of Stalin, Volume I to be better than the print version? No. Unfortunately the audio version seems to omit any parenthetical statements in the text and these are valuable. If you're using Immersion Reading this is noticeable. What three words best describe Paul Hecht’s voice? Nice pacing and inflection. I rated the performance one star because unfortunately the audio version seems to omit any parenthetical statements in the text and these are valuable. If you're using Immersion Reading this is noticeable. "But Kamenev went far beyond separating Stalin from Bukharin. We are against creating a “leader” theory, we’re against building up a “leader.” We are against the idea that the secretariat, by combining both policy and organization in practice, should stand above the main political organ, that is, the politburo. . . . Personally, I suggest that our general secretary is not someone who is capable of unifying the old Bolshevik headquarters around himself. . . . Precisely because I have spoken on numerous occasions with Comrade Stalin, precisely because I have spoken on numerous occasions with a group of Lenin’s comrades, I say here at the Congress: I have come to the conclusion that Comrade Stalin cannot perform the function of unifying the Bolshevik headquarters. Kamenev, as he uttered these remarkable words, was interrupted repeatedly, and the jeering became nearly deafening: “Untrue!” “Nonsense.” “So that’s what they’re up to.” “Stalin! Stalin!” The delegates rise and salute Comrade Stalin. Stormy applause. . . . “Long live Comrade Stalin.” Prolonged stormy applause. Shouts of “Hurrah.” General commotion. The published stenogram continued: “Yevdokimov, from his seat: ‘Long live the Russian Communist Party! Hurrah! Hurrah!’ (The delegates stand and shout ‘Hurrah!’ Noise. Stormy, long-sustained applause) (Yevdokimov, from his seat) ‘Long live the central committee of our party! Hurrah!’ (The delegates shout ‘Hurrah!’) ‘The party above all! Right!’ (Applause and shouts, ‘Hurrah!’)”332 Stalin never had a birthday like this (nor would he again)." So there you are, sitting down to hear a biography of Stalin . . . for 39 hours. Listen to an hour every day and it will take you a month and a week to finish it. A half hour every day takes 2 ½ months. What is gained by this marathon? You learn short-term political ploys that didn’t work, month-by-month strategies of Bolsheviks working for influence, variations of communist philosophy among key figures, goings-on during committee meetings in Russia, goings-on in committee meetings in Central Asia, ups and downs of Soviet manufacturing, ups and downs of military strategies by Russia, Poland, Ukraine, Romania, and also by White Russian armies . . . an expanse of details that buries everything. There are long periods when Stalin drops out of the narrative completely. The word “abridgement” hovers over this book like an angel with a hatchet, as the poor misshapen thing cries, “Chop me! Chop me!” To be fair to the prof, the book isn’t pretentious—it’s overblown. Volume 1 only goes to the year 1928. Professor Kotkin of Princeton has already penned Volume 2 running another 50 hours. Oh boy, what fun that would be. Is this volume worth listening to? In my opinion, no. It isn’t that the prof hasn’t worthwhile things to say—they are buried in the clutter and when they appear the books gets back on track. There are too many good Stalin bios out there that take a couple weeks to get through. Not unless you are a genuine Russophile focusing on the Revolution, and by that I mean another professor like the author, would I go for this one. I’m an amateur reader of Soviet history and I thought the whole thing quite overdone, for what my opinion is worth. Large sections could have been synopsized with no harm. In fact they should have been. You’ve been warned. Buy the book and get ready to start skipping chapters. I learned so much about Stalin, Lenin, Trotsky, the lead up to and the revolution, but it was presented more dryly than I would have liked. I was riveted by the details but not the presentation. The performance was excellent. I have been a student of Soviet Studies for 25 years. This is a revolutionary approach to any biography. While the size may be daunting it places Stalin in the context of the history. It is a progressive and advanced presentation of Stalin and the era. A page turner. I can't wait for the treatment of the second volume. Kotkin has done a great job compiling never before seen archival primary resource documents for this book. His resources are brilliant because they tell the private thoughts of Stalin as well as the major political players of the time thoughts. Kotkin also does a great job on setting up context in what is happening on the world scene during the years covered. This is my 5th book i've read on Russian history and is by far the best and most vivid book I have ever read. The takeaway is that Stalin was who he was, an intellectual who promoted and evil ideology, he wouldn't stop until he fulfilled his version of Marxism. I also loved the narration for the book the narrator does a fantastic job with all of the Russian and Georgian names he has a serious deep voice to pull off this book. This is an elite book! I've read several books touching on the Russian revolution and its aftermath.Most have left me confused. Not that I'm not still a bit confused, but Kotkin has hellped clarify a lot. Most importantly he has revealed a great deal about Stalin, missing in other works. I felt the book was over long and too detailed in party in fighting.Of course I had a problem knowing who was who,because of the difficulties with Russian names. More informed readers will probably be able to get more from all the details. In all this is a great book with excellent narration. I highly recommend it to any one with curiosity about this part of Russian history. It's certainly worth an over long listen and plowing through those Russian names.